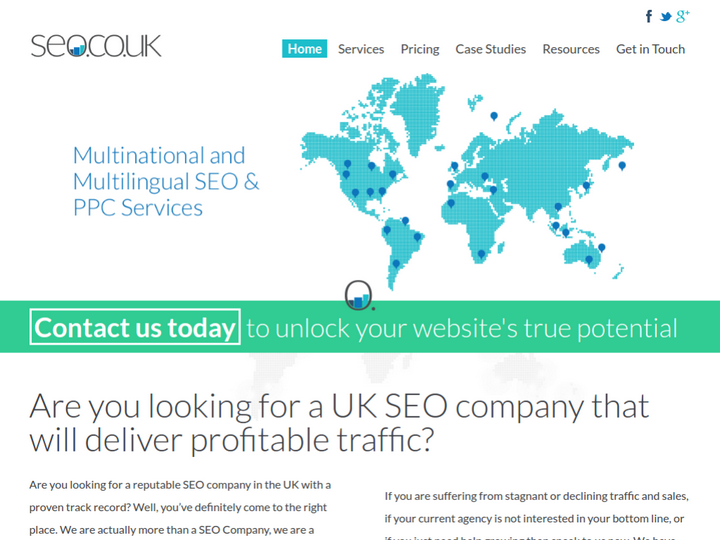 SEO.CO.UK is an SEO company situated in Harrow. The company provides Search Engine Optimization, Reputation management, Web development, Paid search, social media and display advertising, Social media optimization services. Hitesh Patel is the CEO of SEO.CO.uK. The company has got global rank of 39, 5 in UK and 4 in London. The company is a marketing expert and has worked with brands. It is focused in delivering leads, sales and revenue. The company has expanded its SEO campaign to the United Kingdom, Europe, North and South America, Asia, Australia, Africa and the Middle East. Apart from English (UK and US) it has experience working in French, Spanish, German, Italian, Arabic and many other languages. SEOCOUK is the best Search Engine Company in UK. SEOCOUK provides complete web solutions at affordable prices.